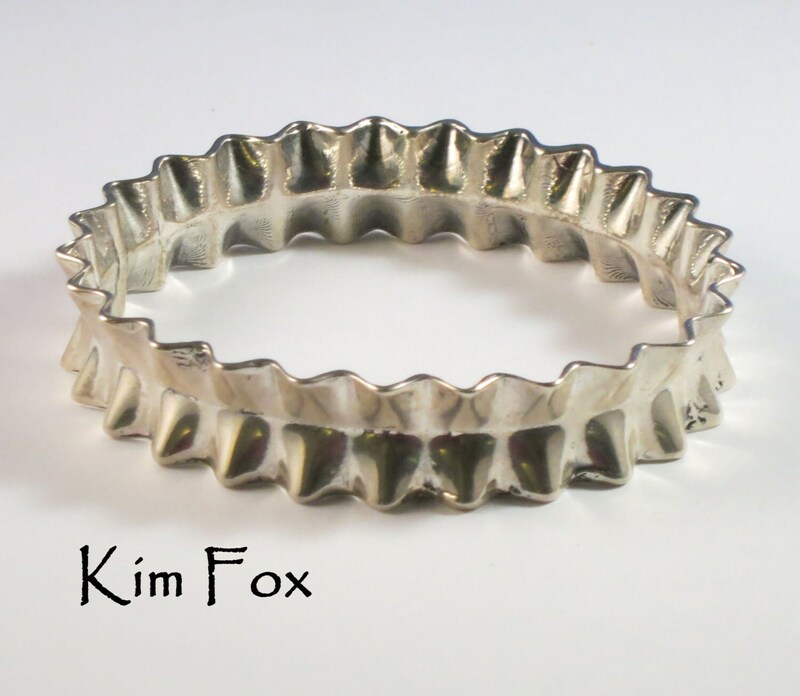 High polish ruffle at the wrist. 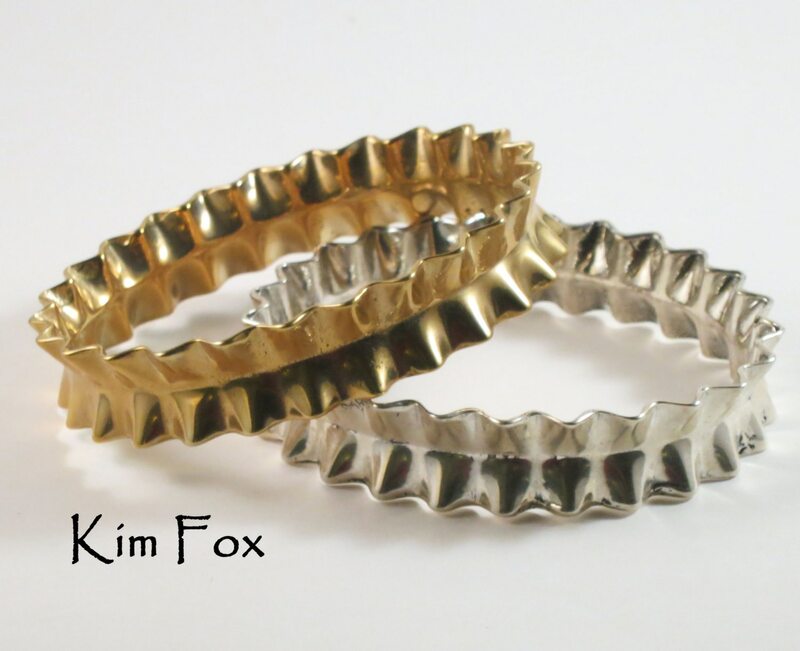 Perfect as a statement piece all its own or add other bangles to add to the pattern. 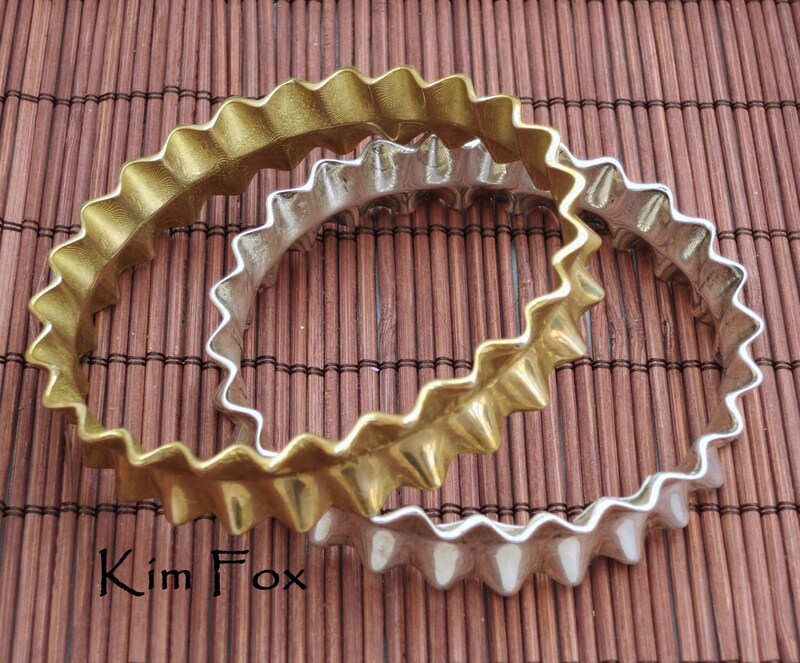 The bangle is 15mm wide or 9/16 inch and is substantial. 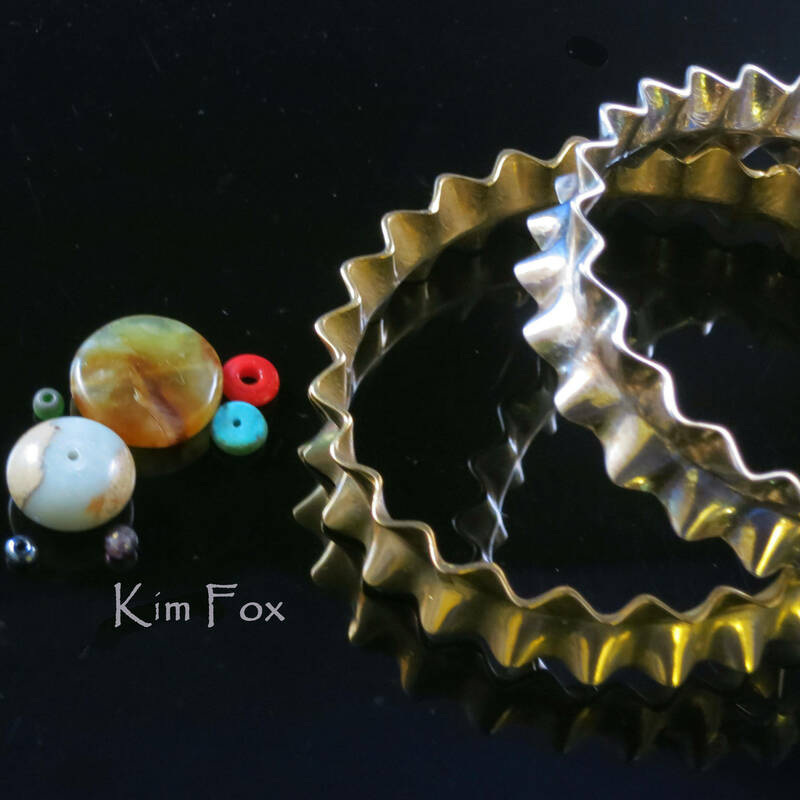 The sterling silver it is made of is tarnish resistant and the golden bronze just grows richer in color, both are easy to clean with a polishing cloth. 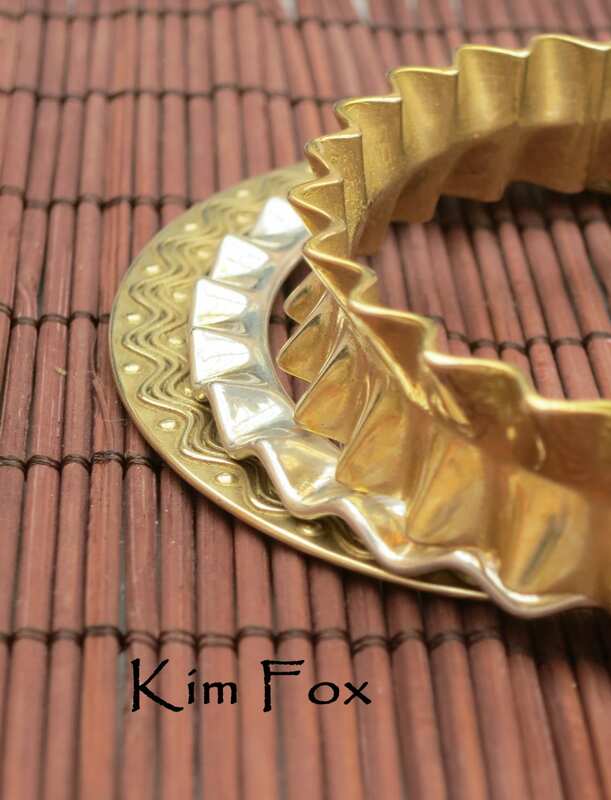 Kim Fox designed this bangle for those who want a finished statement piece on their wrist. 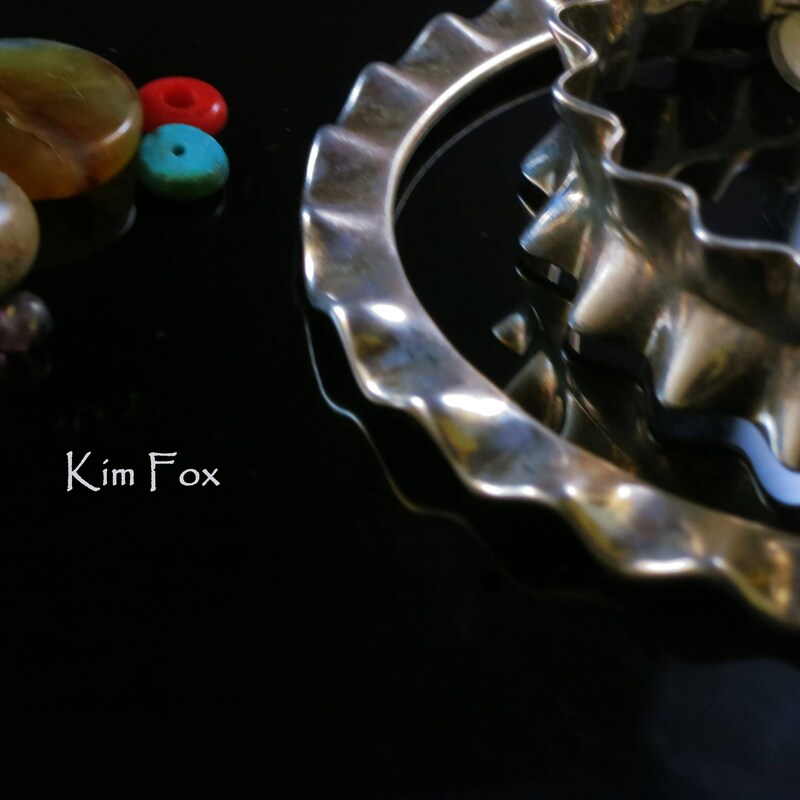 The oval shape keeps it from spinning. 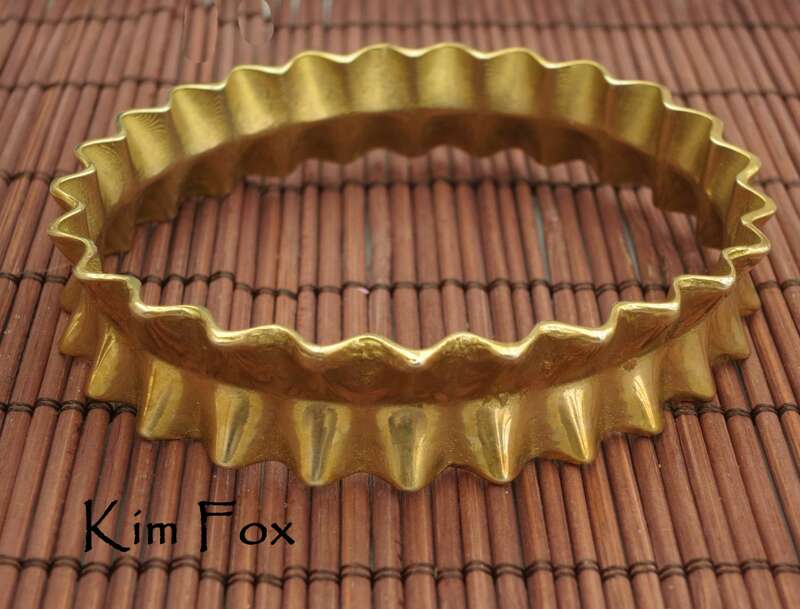 To measure for bangle size fold thumb to center of palm and wrap a measuring tape around the widest part of the hand. The bangle size is measured by the hand not the wrist.